My voice is almost completely restored. Man, I have taken you for granted ol' girl. That might have been the first time I've ever lost my voice, entirely, for more that a few hours. It changes your personality, to not to be able to talk. On Monday we took the kids to the pool to meet up with some family after Nick got home. I normally can talk non stop with my sister in laws, but I had to just sit there feeling invisible. My son now talks to me in a whisper. I think he thinks it's a game. That part is nice actually . Nick let me go to sleep right when he got home and he took over putting the kids to bed. He then came to bed and told me the funniest story that I couldn't wait to blog about this morning. During his home teaching visit earlier this week he met the son of his teaching companion. He was about 4 or 5, I think. Nick said that the little boy was passing him but then stopped, dead in his tracks and put his hand up to his mouth and said..."Are...are.. your lips swollen?" 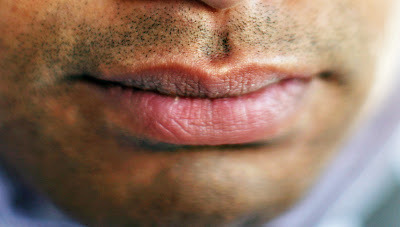 Nick's response was..."Oh no buddy, they are just big thick juicy lips." So funny! Happy Fourth of July everyone! God Bless America! Here we come Hannah Montana and the Stadium of Fire....(and Glenn Beck!) Nick and I are heading to Los Angeles on Saturday but we will be home on Sunday afternoon. I'm shooting the Mana Poly All-Stars in action! Wish me Luck! Hahahaha!!! That's so funny that they'd ask!! Nick is such a great sport! What a funny story! Love ALL the new photos! Good luck with you upcoming photo shoot. I am a wife, a mother and a photographer, based in Salt Lake City Utah.